Setting Goals for Writing? Nope. Not Me. Yes, a new year is here, and everywhere you look, you’ll probably find posts and articles and messages about goals and the importance of setting them. It’s true. Goals are important, but truthfully, I’ve never been very good at writing down specific objectives, making lists of steps to take, or assigning dates and deadlines to goals I hope to achieve. Maybe that’s my problem — I hope to achieve certain goals. I suppose a better attitude would be to speak of the goals I plan to achieve in 2014. 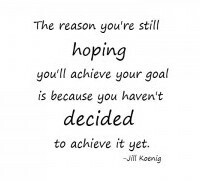 For me, the whole goal-setting process seems complicated and fraught with pitfalls. Goals should be specific, but what does that really mean? Goals should also be reasonable. Goals should include a definite way to measure progress. Goals should do this, and that, and be this, and you really ought to… on, and on, and on. I’ve watched motivational films about goal-setting. I’ve attended goal-setting workshops. I’ve read countless books about the process. Nothing has helped me. And yet, somehow, I’ve managed to do a reasonably good job of accomplishing things I’ve set out to do. In 2013, for instance, I hoped to have three books published. I did have a slight head-start on things since one of my historical romance novels, Happily Ever After, was already under contract with my publisher, scheduled for release in early January. I didn’t spend a lot of time agonizing over goal-setting at that point. 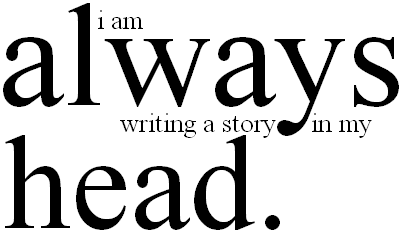 I just sat down and stayed busy writing, knowing I wanted to have two more stories published before year’s end. Even without a written “plan of action”, a signed “contract with myself” or any of the other motivational aides so often suggested by the “goal gurus”, I managed to achieve my desires and see two more of my stories published, both by Secret Cravings Publishing. I’ve come to believe that persistence and perseverance are probably far more important that having a neatly-written sheet of goals, objectives, and plans. At least, that’s how it is for me. If you are a dedicated goal-setter, far be it from me to discourage you. That’s not my point in writing this. You don’t need any advice about goals. My intention here is to speak to those who — like me — find it difficult, if not downright impossible — to make those tidy little lists, to outline a plan of action step-by-step, or to stay on a strict “to-do” schedule. There’s hope for us. We, too, can accomplish things. We can dream of the future, envision things we’d like to achieve, and even without making a formal declaration, choosing a specific target date, or any of the rest of the goal-setting rigamarole — gotta love that word — we can get where we want to go. So, I’m here to say “No.” No, I’m not setting any goals for 2014. I’m just going to spend the year doing what I love — writing romance novels. Instead of worrying about whether or not I’m “on schedule” or “on track” or whatever the latest lingo is, I’m just going to come into MLWR (my little writing room) every day, sit down, and write. Writer’s write. I am a writer, therefore, I write. Or maybe the syllogism is that writer’s write, and I write, therefore I am a writer. I don’t know. I’m not sure it matters. What I do know, and what does matter, is that I show up here every day, put my fingers on the keyboard, and start typing. I’m a writer. Not a goal-setter. It works for me. What do others have to say about goal-setting?